Easy to use to identify your vehicles. Includes 2 marker pens complete with Split Rings. 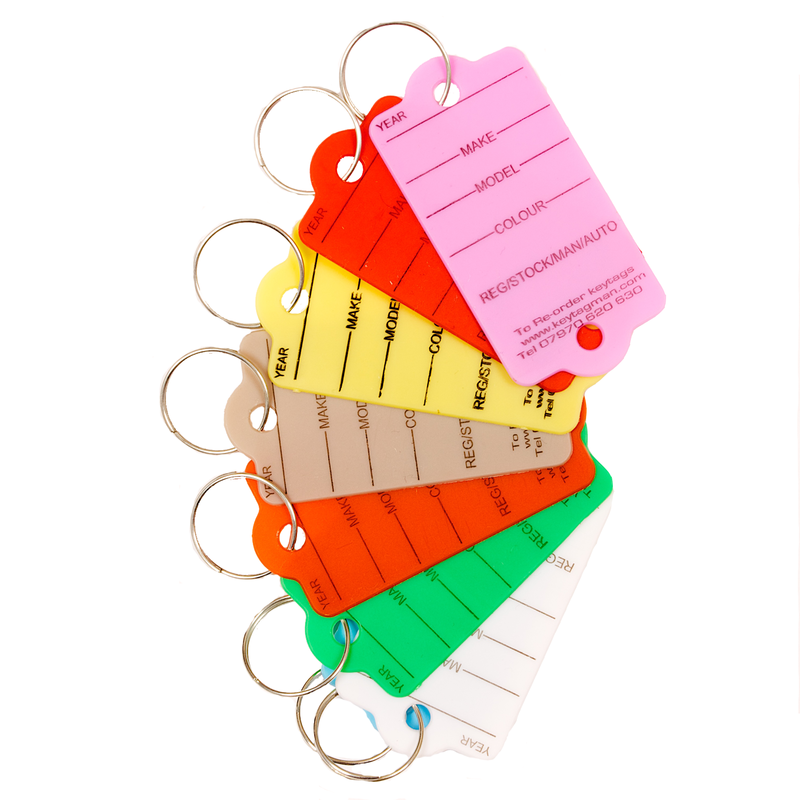 Easy Vehicle Identification Key Tags Size Is 63 x 36 mm. Supplied in compact boxes of 200. 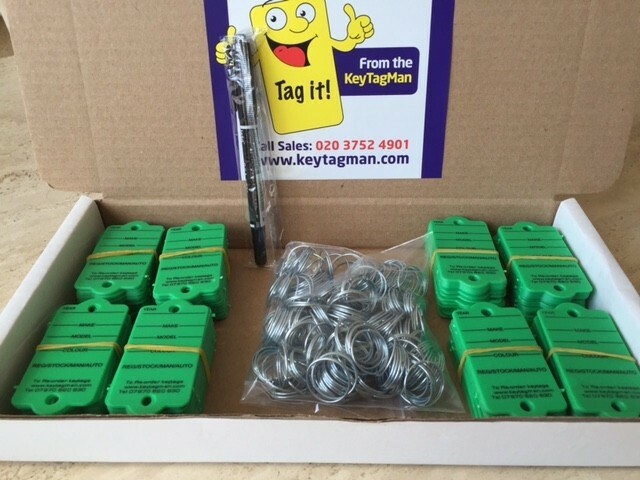 8 different key tag colours: yellow, blue, green, grey, orange, lilac, red and white. Key tags made from durable and flexible plastic.